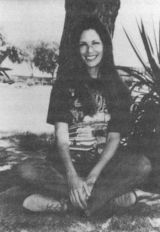 One not-very-discussed fact about Leslie Van Houten is that in 1978 while awaiting re-trial, she was free on bond. During the original trial Van Houten's attorney, Ronald Hughes went missing in late November of 1970 while taking a break at Sespe Hot Springs. He later turned up dead. 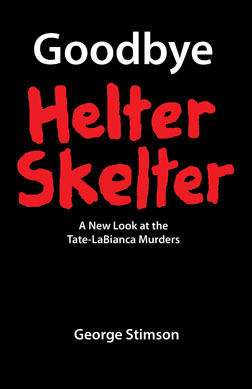 The Manson Family brashly took credit for this as the beginning of the "retaliation murders". It is far more likely (and agreed upon by TLB Scholars) that he died tragically in a flash flood. She therefore won a retrial in 1977 on the grounds of ineffective representation by counsel. Her second trial ended in a hung jury. She was then granted a third trial. A fact that is rarely brought up is that Leslie was granted bail for her third trial. That bail was $200K. She was free for around six months or so. During that time she worked as a legal secretary while she prepared for court and lived with an old friend. "But what did you talk about to the people you met that night?" I wondered, knowing she had been released from death row not that long before, not exactly a center of industry screenings or "For Your Consideration" Oscar campaigns. "If someone brought up one of the nominees," she shrugged, "I'd just say 'No, I missed that one' or 'I was away when that was playing.'" when she tried to fire him a couple times and not one of them listened to one word an attorney said in the first place..
She attended the Oscars? What in the F*CK??? That is one of the sickest things I have ever heard out of this whole thing. One of the Manson murderers at the Oscars. What next? Does her lawyer ever bring up the fact at her parole hearings that she was out for half a year in 1978 and held a job and wasn't slashing people up. Didn't the family have a so called hit list of celebrities. Well she was at the Oscars and some from the list may have been there. she was at the Oscars and some from the list may have been there. Goes to show what a different world it was in 78. Now she would have been confined to home with an ankle bracelet (if she were allowed to bail at all). I find this tidbit fascinating. The judge was nearly apologetic when he sentenced her back to prison. I found a bit a case law which may give another beam of perspective about crime and punishment in the Golden State. Like most tales from the files of death penalty cases, one must truly wonder why anyone would feel the need to embellish anything since truth is stranger than fiction. This story is as Spartan and short in lifespan, as The Family’s story is mercilessly long, complex, and the most fertile of grounds for future mythology, added for reasons which I’ll never understand. This is about Randall Ray Houseman (Remember, three names = murderer) and Gary Dale Hines (presently on Death Row). These two individuals had a mutual acquaintance that owned a hot pink, Model T, Ford automobile which Hines coveted. So the twenty year old Hines and sixteen year old Houseman hatched a plan to steal the blaze pink vehicle, and parade about town being cool. So it’s off to the Roberts’ (owners of the car) home to get the car by killing the mother and daughter occupants, then ransacking the place and stealing some guns along with the hot pink car which the pair drive about town, and which several people take note of. The duo end up at a friend’s home where they ask for some blankets and sheets to cover the electric pink hot rod, and as any of us would do, the friend agreed without protest and supplied a quilt and some plywood. By now the news stations in Sacramento were reporting the double homicide of the women who were bound, gagged, and shot four times each in their home, which was absent a Day-Glo pink, 1923 Ford Model T. Well set your faces to stunned, because a neighbor noticed the neon pink car under the covers and called the cops, who arrested Houseman and Hines less than a day after their crime spree began which included a beefcake, promenade in a sweet little pink car. Wow, I’m so surprised. So there’s no brainwashing, acid trips, orgies, communes, or coded messages in some music, just a pair of dorks who wanted someone’s stuff, and killed them for it. Not exactly the recipe for over analysis here is it? Boys want car, boys murder women, boys parade in car for several hours, boys arrested, boys found guilty in trial. So Hines gets the death penalty and presently sits in SQP. Houseman, the misunderstood and confused sixteen year old, was sentenced to 52 years to life with the drop of a gavel. But what does that mean? 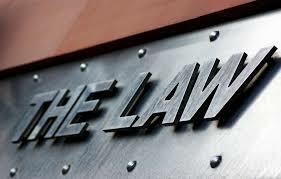 Houseman got an indeterminate sentence which is a minimum of 52 years to life, so he will be eligible for his first parole hearing after serving 52 years, when he will be 68 years old. Houseman who just went along for the ride, for one day, and didn’t kill anyone, won’t have his first parole hearing till the age of 68. Where Leslie Van Houten will have her next and 21st (not first) parole hearing, at the age of 68, isn’t that something? Is it fair? Where are the cries of outrage for Houseman, who was just a little boy, and didn’t even kill a dead person, and won’t get considered for parole till he is 68? So why all the butthurt regarding Leslie? I would assume (yep, I’m assuming) it is the product of a very narrow and shallow horizon, which results from the limited study of crime, due to Manson’s notoriety. Isn’t that ironic? 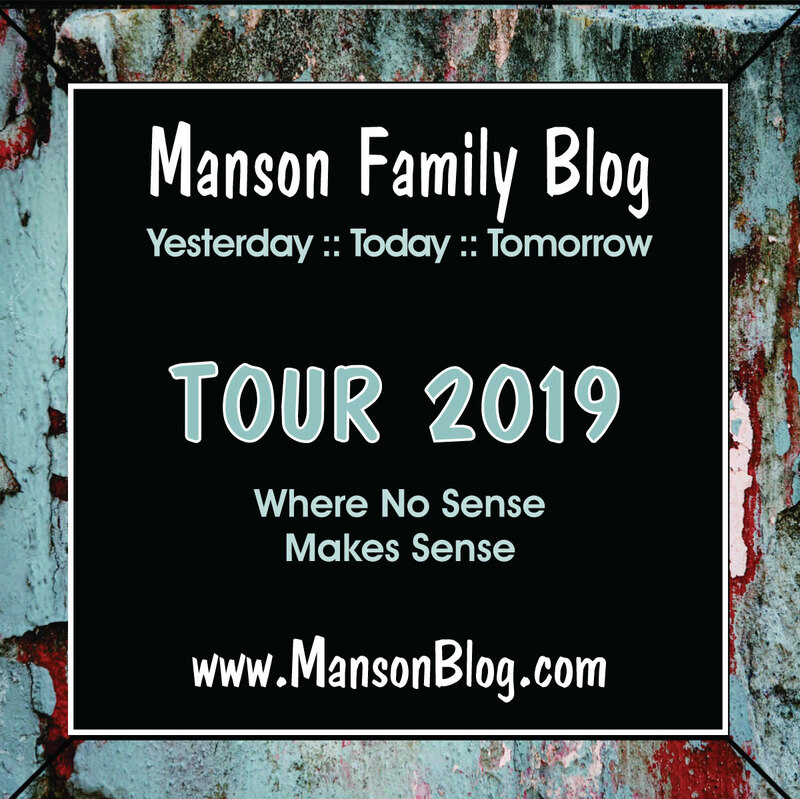 The very people who think Manson people will stay in the slammer, because of their association with Manson, are only known to people who think there is some illusive injustice, because they were/are drawn to the Manson notoriety. Where the quickest of comparisons to other capital crimes would indicate a string of good fortune has followed them. Death commuted to life, second and third trials, marriages with private visits so this prime breeding stock can continue their DNA sequence. Houseman gets none of that. Well he may get some forced man-love since he’s in prison for stealing a pink car, but I don’t want to speculate. What’s the base line for fair and equal treatment here? I feel that the likes of Houseman and Hines are right where they belong, and marvel at how many people were not charged as accomplices during their crime. But I’m an amateur student of the law and history, and certainly not a master. I was foolish enough to think what David Cash Jr. did to Sherrice Iverson, would have guaranteed (GUARANTEED) him a life sentence, but I fumbled because he’s innocent, and was never charged with anything, and walks among us today. So life’s fair. She should have made a run for the border....hindsight 20/20 of course,she was stunning,she could've sweet talked some dude into it.